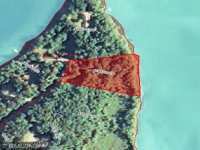 25.2 ACRES, APPROX 2,000 FEET OF LEVEL SAND SHORELINE, TWO SWIMMING BEACHES, 2 HARBORS/ONE- 1 ACRE HARBOR WITH DOCKING FOR 70 BOATS PLUS PARKING ALONG WALL FOR . . . COMPLETELY REMODELED HOME WITH KNOTTY PINE AND WARM AND COZY FEELING. MOVE IN READY 3 BEDROOM 2 BATH HOME WITH LARGE DECK OVERLOOKING CASS LAKE. THIS PROPERTY HAS 1/15 . 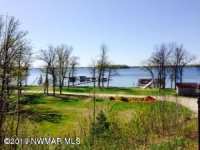 . .
MOVE IN READY HOME WITH CASS LAKE ACCESS. 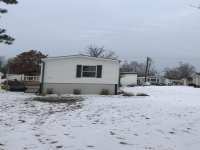 EVERYTHING INCLUDED DOWN TO THE SILVERWARE WITH THIS 3 BEDROOM 2 BATH HOME WITH COVERED SCREEN PORCH AND STORAGE SHED. ENJOY . . .
TOM'S HARBOR IS A PLANNED UNIT DEVELOPMENT ON CASS LAKE. 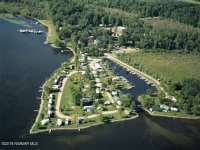 LOT OWNERS HAVE DEEDED BOAT SLIPS IN A PRIVATE LIGHTED HARBOR, PICNIC AREAS, SWIMMING POOL & HOT TUB, FIREPITS, . . .
Midway between Grand Rapids, Minnesota and Bemidji, Minnesota, lies the stunning Cass Lake. Located entirely within the Leech Lake Indian Reservation, in the heart of the Chippewa National Forest, Cass Lake combines fabulous outdoor recreation and rich North Woods culture set against a backdrop of some of the most amazing scenery to be found in the great state of Minnesota. Cass Lake is in fact the eighth largest lake in the state of Minnesota. Cass Lake is the largest lake of the Cass Lake Chain of lakes. Other lakes in this chain include Big Wolf Lake, Lake Andrusia, Cass Lake, Pike Bay, Buck Lake, Kitchi Lake, Little Rice Lake, and Big Rice Lake. With approximately 15,596 acres and twenty-seven miles of shoreline, Cass Lake is perfect for outdoor recreation. The region has a fairly moderate climate with most temperatures remaining around 80 degrees during the summer months. Winter is cold, but that just makes the region that much more perfect for quintessential Minnesota pastimes such as cross country skiing and ice-fishing. The Mississippi River flows through the Cass Lake Chain of lakes. In fact, the chain and the river can be traveled by boat. These waters were once used as trade routes for Native Americans and early French trappers hundreds of years ago. Originally, it was thought that Cass Lake was in fact the source of the Mississippi until an expedition led by Henry Schoolcraft in 1820 determined that Lake Itasca was the actual source. The maximum depth of the lake is approximately 120 feet and the floor of the lake is varied, making it the perfect breeding ground for a multitude of fish species including walleye, muskie, pan fish and perch. As any angler familiar with Minnesota will tell you, Cass Lake is one of the premier lakes for fishing. If winter has rolled around, never fear, Cass Lake offers phenomenal ice-fishing. In fact, some of the world's best anglers travel to Cass Lake each February for a chance at glory at the annual Winter Fishing Challenge. The geography of Cass Lake itself is significant. In the middle of the lake lies the appropriately named Star Lake, home to beautiful wildlife including countless varieties of birds sure to please the most avid of bird-watchers. Hunting season in and around Cass Lake is spectacular. From grouse to duck to deer, hunting in the region is unrivaled. Be sure to check with local authorities so that you are aware of any necessary permits and restrictions. Hiking, boating, swimming, ATV riding, horseback riding and snow-mobiling are all seasonal favorites here. Or, simply enjoy a night of peace and solitude as you gaze at the stars in the clear, cool Minnesota sky. If outdoor sports aren't your thing, or if you are simply looking for a little variety, be sure to plan to play 18 holes at one of the many area golf courses. Alternatively, a visit to Lyle's Logging Camp and Museum is sure to give your travelling party an increased appreciation for the unique impact the logging industry has had on this region. For an evening out, try one of the three area casinos, perfects for a night out without the kiddos. Local festivals and fairs, including events such as the annual RibFest and the Eel Pout Festival in nearby Walker, are scattered about the calendar, and offer the perfect opportunity to absorb a little local culture and flavors among the local residents. Catch a dog sled race, chat it up by a bonfire or take a minute to relax and unwind with your family. Life here in and around Cass Lake is just a little more relaxed with a slower pace and a charm lacking in most modern vacation destinations. If Cass Lake sounds pretty good, you should consider the plethora of opportunities for real estate investment in the region. Long term rentals can be the perfect option to come and explore the lay of the land. Chances are you will be finding yourself wanting to return year after year for the perfect relaxing vacation in the North Woods. Luxurious lake-front homes can be an ideal investment for a second home, a place to relocate or even your choice for retirement. 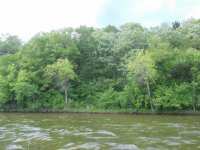 Lake-front lots may be available where owners can build to suit, but be fore-warned. Property here goes fast, so if you happen across the perfect choice for you and your family, act quickly. Organizations such as the well-informed, professional agents at LakePlace.com can help you identify and secure the perfect property for your future. No matter how your choose to spend your time here at Cass Lake and no matter where you choose to stay, you and your families will certainly create memories to last a lifetime here in the North Woods of Minnesota. Cass Lake is approximately 15,950 acres in size. Looking at any lake on a map, it is easy to be fooled into believing that each one is as good as the next. When planning our journeys, we like to look at small scale maps, see the biggest spot of blue and say "that's where I want to go!" Often we're disappointed-massive, unnourished lakes provide hours of boating but no fishing; exploration happens quickly on overdeveloped shores, with the best spots often over fished. This is why, to seasoned anglers and outdoorsmen, places like Cass Lake stand apart from other lakes. Cass Lake is part of a chain of nine large lakes around Cass, Minnesota. These interconnected lakes play a big role in providing anglers with plenty of fishing opportunities over hundreds of miles of eclectic shoreline. Cass Lake itself has one of the best Muskie yields (second only to nearby Leech Lake) in the state. The best part is that the majority of Cass Lake is part of the Chippewa National forest and other government owned resources, leaving much of the lake's shores unspoiled by development. Water plays a very big role in making the Cass Lake area special. With connections to both the Turtle river and Mississippi river, the whole Cass Lake area is primed to offer a variety of habitats for numerous fish. The minimal development insures healthier waters in which to breed better fish. One could literally explore this complex limnological system for days without running out of new adventures! In fact, Cass Lake contains more than just the standard beauty afforded to the average unspoiled tract of nature. Star Island is a boat accessible land mass in the middle of Cass Lake. This 1,100 acre island is also home to Lake Windigo. This lake is so unique that it was featured by "Ripley's Believe It or Not" as one of the only lakes within a lake in the Northern Hemisphere. Of course, it's not just the water that makes this area worth the visit. The Chippewa National Forest that enshrines much of the shores of Cass Lake also preserves one of the few white pine forests of the day. The Dawes Act gave major lumber and businessmen an opportunity to threaten the ownership of Ojibwe (Chippewa) reservations in the late 19th century, including the forests around Cass Lake. It was the act of a President Roosevelt and the Minnesota Federation of Women's Clubs that preserved 225,000 acres around Lake Leech and Cass Lake. That land, now called the Chippewa National Forest, contains over 280 miles of hiking trails, including some that are paved for bicyclists, skates and joggers. In addition to the big nine, the forest contains over 700 additional lakes and almost a thousand miles worth of streams. Amateur ornithologists will delight at watching over 243 species of birds in a park that stands as one of the largest bald eagle breeding grounds in the U.S. With recreational activities available for every season, the exploration of this area could go on for generations. If the Chippewa National Forest isn't enough for you, Itasca State Park is only a short drive from Cass Lake. With 32,000 acres, this park is estimated to be the headwaters of the Mississippi river. Over 33 miles of hiking trails exist for the avid outdoorsman, with at least 1.5 miles of them handicap accessible. Attractions of this forest include an ancient Native American cemetery; this is just over 60 miles from the incredible natural beauty that is the Cass Lake area. Complementing the limitless outdoor opportunities of the area is a vast array of campgrounds and resorts. 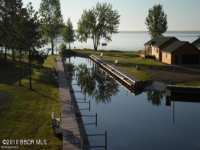 Over 20 Cass Lake resorts offer a variety of accommodation, from traditional hotel rooms to lakeside cabins. You will find some Cass Lake resorts offering rustic retreats while others offer nothing but luxurious chalets, A-Frames and cottages for their guests. There's even gambling opportunities for guests at the Leech Lake Band of Ojibwe Palace Casino and Hotel. In addition to natural wonders, the Cass Lake area is also home to some thrilling attractions for the family. Lyle's Logging Museum and numerous Indian Burial grounds offer a deep insight into the history of this unique land. For more exciting activities, there are miniature golf courses, casinos or horseback riding at the Moondance ranch. The area is even home to the famous statue of Paul Bunyan and Babe, his blue Ox. Cass Lake goes above and beyond what is expected of a great northern getaway. Unlike most natural wonders, this area is going to require more than one visit to even begin to explore the boundless natural and cultural possibilities. No two visits will ever be the same in a land as vast and unique as this.